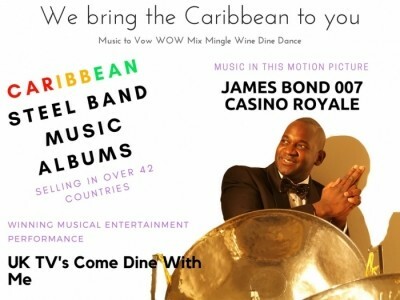 "We bring the Caribbean to you" with Music • Sound • Light to Vow WOW Mix Mingle Wine Dine and Dance. 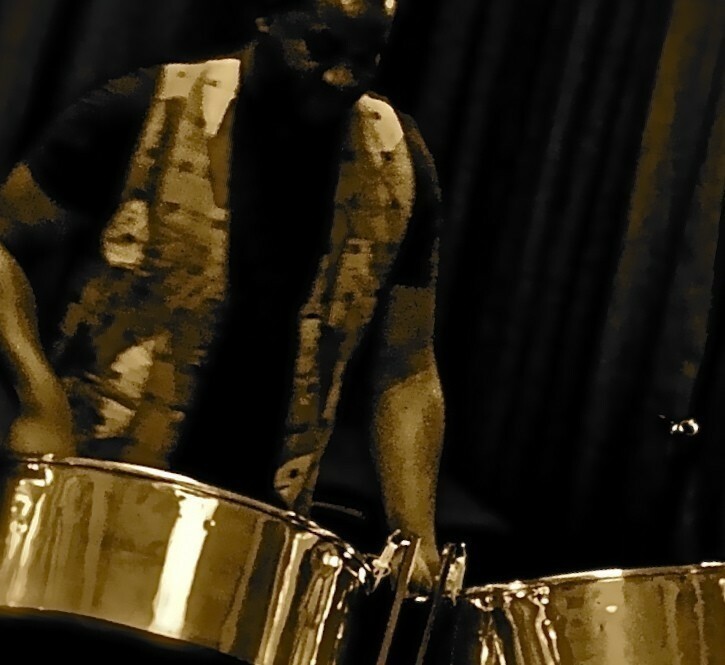 With music in James Bond 007 movie Casino Royale, "Nobody Does it Better" with a "License to Thrill"
•• We bring the Caribbean to you •• Steel Drum Band with options of Solo, Duo, Trio, Fouro, fully acoustic or with pro backing music for a full band sound. 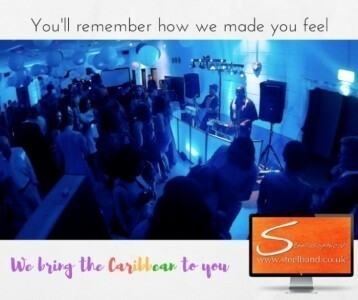 Vocal Entertainer (Soca, Reggae, Ska, Pop, Motown and much more). 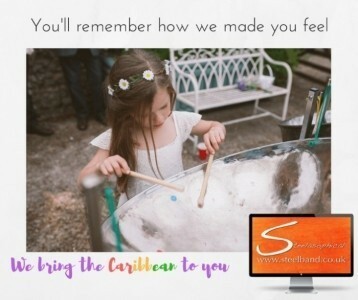 Caribbean mobile dj with more than 30,000 music tracks. we are able to offer the full combined package of band and DJ. 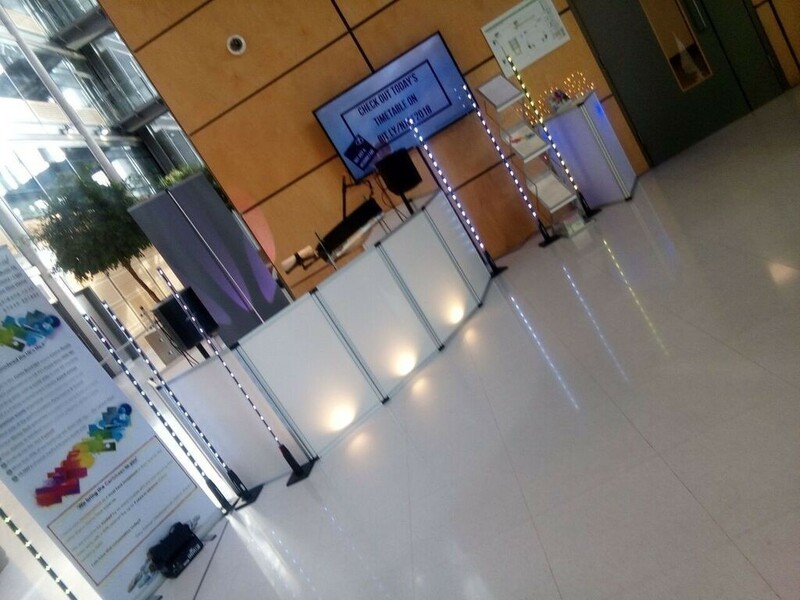 The ultimate in guest dance participation, with Limbo, Follow the leader, Congaline.We can even provide interactive music workshops and invite the audience to join the band! Steelasophical presented by Gary Trotman, a multi-instrumentalist performing in Soca, Reggae and Steel Bands over a 25 year+ period. Now a full time music professional (this is truly my full time passion). ••Music used in the James Bond movie Casino Royale. ••Winning musical entertainment performance on TV's Come dine with me. ••Albums selling worldwide in over 42 countries. Music is a passion and a way of life - we love transforming the mood and atmosphere and bringing upliftment and joy through music and interaction. 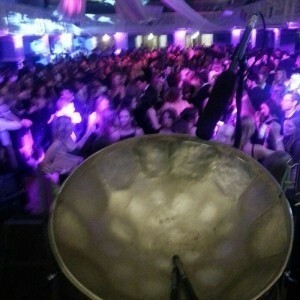 Gary and Evrod have just played for us at the weekend and they were fantastic. They played for about 70 people at our garden party and everyone raved about their performance for days after, and I'm sure they will get many bookings from it. Thanks again and will certainly be using you in the future. 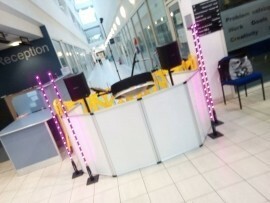 Gary played an essential part in making our summer event a great success. He is so skillful and his impact was marvellous. I wouldn't hesitate in booking him again. The evening for our community BBQ was cool and cloudy but Gary's warm personality and the amazing variety of his caribbean steel band music brought a really sunny atmosphere to the event and put a smile on everyone's face! Just brilliant! Thanks so much Gary. 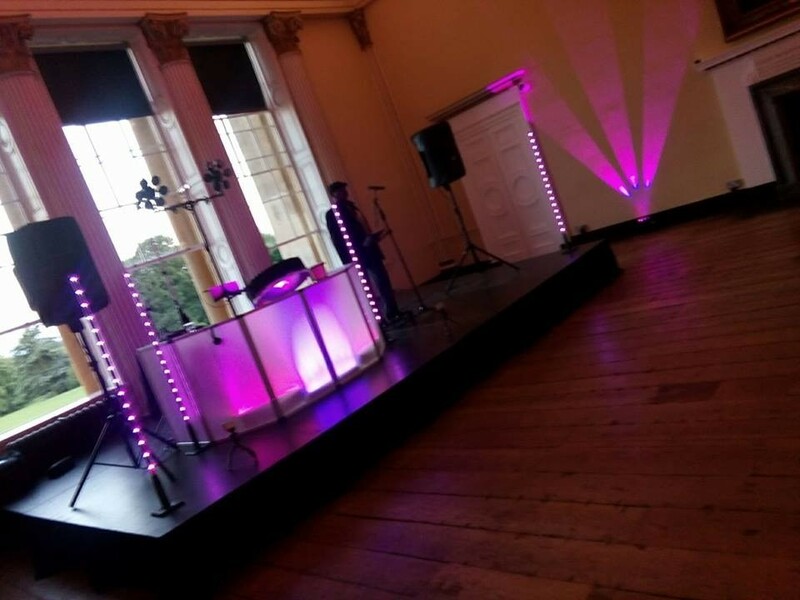 We saw Steelasophical at a friend’s wedding, they were so good, we felt that we had to book them for our special day on Saturday 27th August at Hintlesham Golf Club. Thanks guys, you did an amazing job, an awesome collection of songs created a great atmosphere for our drinks reception. 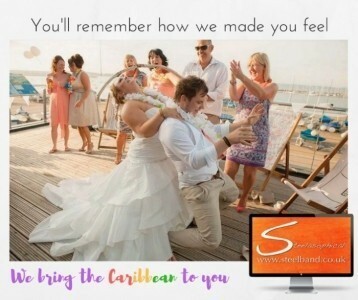 All our guests loved you and we loved seeing you again to enjoy a unique sound that really started our wedding reception off in the best way possible. Book these guys, they are amazing! Love the new Mrs & Mrs Clark, Felixstowe. "After researching, reading endless reviews and talking personally to dozens of Caribbean Steel Drum bands, we decided to book Steelasophical... They didnt disappoint, they were professional, entertaining and overall amazing. 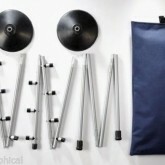 I wouldnt hesitate to recommend Steelasophical to any future clients." Transforming events for more than 25+ years! Music used in the James Bond movie Casino Royale. Winning musical entertainment performance on TV's Come dine with me. Wedding Reception Entertainment Wedding Ceremony Wedding Breakfast Wedding evening Cabaret Birthday Party Entertainment Private Parties Corporate Events Cocktail Receptions Christening Entertainment Product Launches Trade Shows Christmas Party Events Bar Mitzvah Bat Mitzvah Gala Dinners Jewish Weddings After Dinner Entertainment.